A simple £1 donation could change a dogs life for ever or even save their life. What seems like a simple £1 coin is also the biggest weapon again animal cruelty and neglect here in the UK. 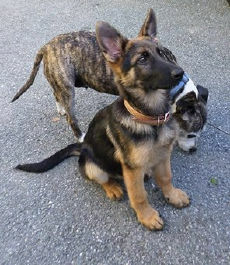 This simple coin when added to other kindly donated coins can achieve so much within the UK German Shepherd Rescue. Pay towards current and secure new emergency kennel spaces for our unwanted dogs whom are imminate risk of harm. Cover the costs of current and unexpected emergency veterinary treatment for all our rescue dogs. Help towards the ever increasing life-time foster dogs whom will never get adopted because they are to old or required life medical treatment and will remain in rescue care. Support our spay and neuter programme for all rescue dogs. A Simple £1 donation could change a dogs life! 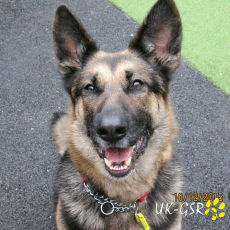 Our dogs rely entirely on donations, your donation will help the UK German Shepherd Rescue (UK-GSR) continue its work in helping the abused, neglected and unwanted German shepherd dogs & puppies in the United Kingdom. We'll come straight to the point: You can eliminate one or more animal's pain and suffering by a simple and modest donation. Your personal contribution will help support our work. Get Supporting - Here's how ! Choose to support with your £1 donation either every "Wednesday" or every "Payday". Your donation will be automatically collected each period until you choose when to stop. Simply choose unsubscribe when you want to stop. And that's it, safe secure, hassle free and most importantly your helping us help more dogs. Thank you ! Registered address : Penfoel, (New Quay Bird Hospital) Cross Inn. Llandysul. Dyfed. SA44 6NR. "Thank you for supporting our rescue"